This coming summer, we will be remodeling the back room of the library to create more and better study space. 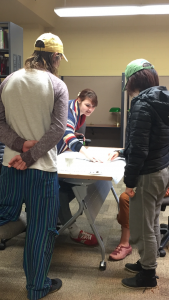 In February, we held two workshops with NUNM students and designers from BRIC Architecture to get input and reimagine the space. On February 8, architects Dan Hess and Thea Wayburn of BRIC Architecture led students in a visioning exercise to establish common goals and an overall direction for the project. There were two activities, both involving group work and discussion. 1. What do you use this space for? 2. What do you like about the current space? 3. What is important to you for this space to feel like? 4. What does the current space lack? 5. How will we know if this project is a success? The groups then shared these responses with the entire group. The second activity used visuals to connect preferences to specific images. Each individual was given five green (“like it”) and five red (“don’t like it”) dots with which to vote on a variety of images, including library spaces as well as other types of public areas. After voting, the images were re-arranged on three different boards — those with mostly green dots were grouped together on one board, those with mostly red dots were grouped on another, and images with a mix of red and green dots were grouped on a third board. The group discussed why they voted the way they did. Common themes included liking natural light, use of wood (but not dark wood! ), and furnishings that allowed for individual or group study different from study carrels. Common “don’t likes” were dark wood, lack of color or too much color, and spaces that felt excessively modern. On February 22, Dan and Thea were back to lead students in a design activity building from information gathered in the first meeting. Participants broke into three groups. The task: design a new space with the pieces. 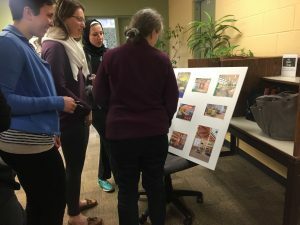 Each group had a reference floor plan showing the existing layout, a large floor plan with just walls and doors, and a packet of paper pieces representing tables, soft seating, carrels, and bookshelves. Several unnamed pieces were included so each group could incorporate something unique or different in their design. After about 15 minutes, each group presented their design to the entire group. Then, each group went back to their tables to work on a second option. This second option was again presented to the entire group. 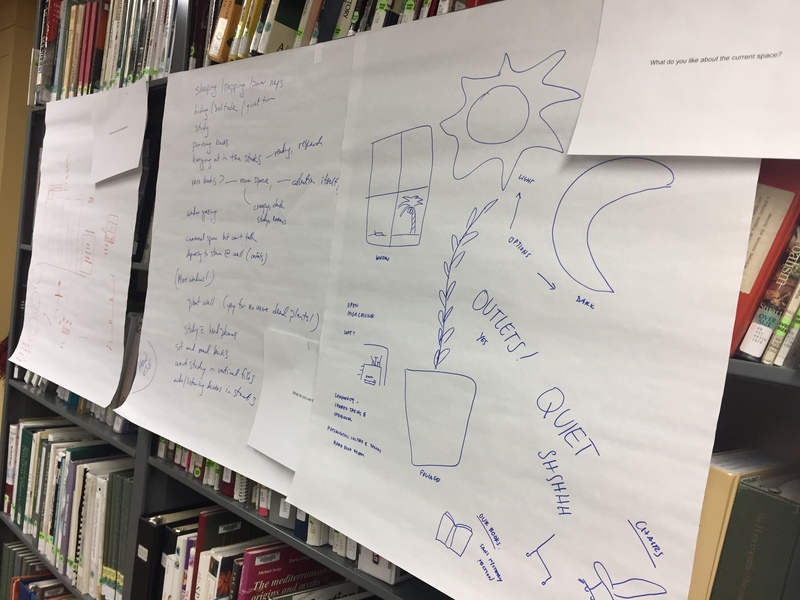 What’s next: in March, we will take these ideas and start refining them into a design plan to work with. Stay tuned for more updates in the coming months. A big thank you to our student volunteers who participated in these exercises! 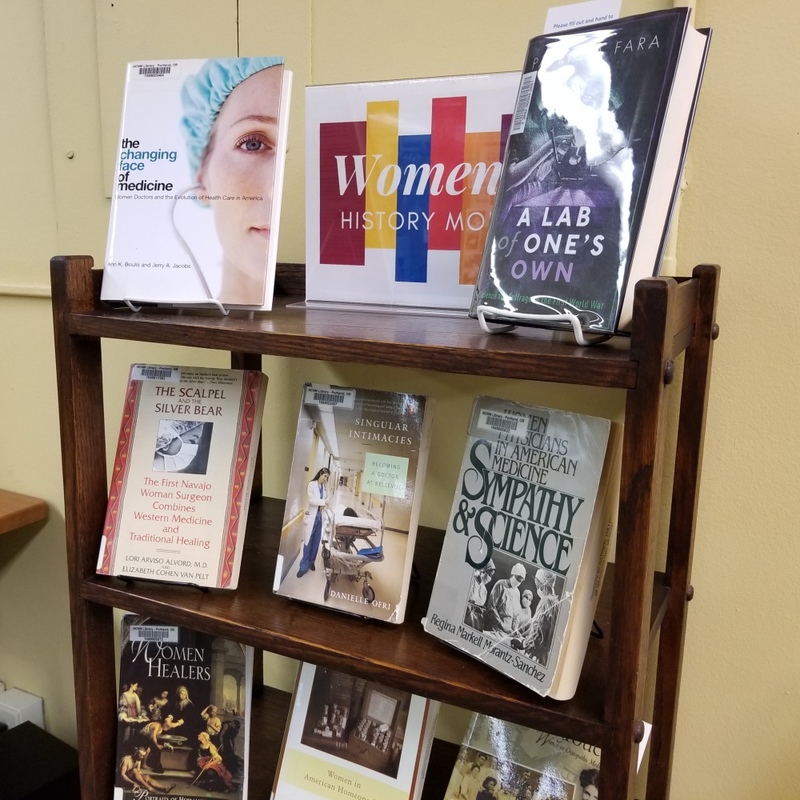 As we move into March, the library is marking Women’s History Month by highlighting books in our collection that address the past, present, and future of women healthcare practitioners. 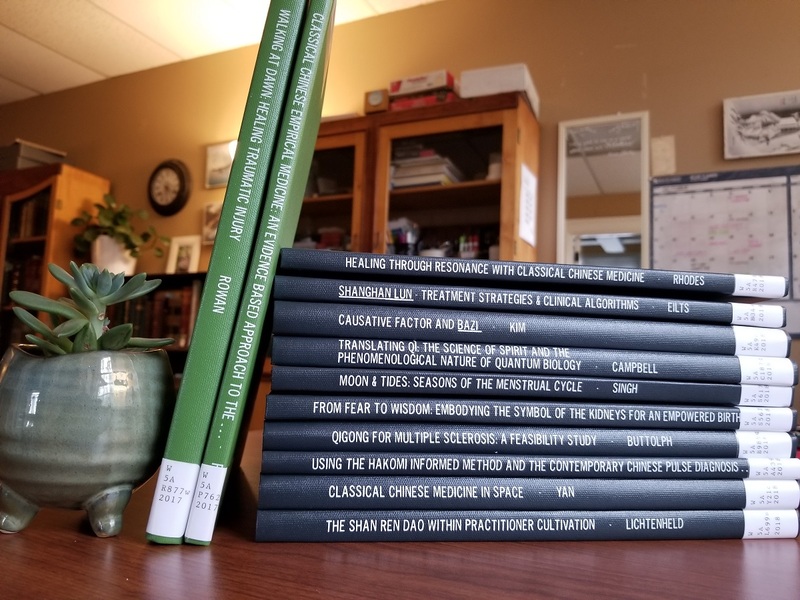 In addition to drawing on our own existing holdings, we’ll have a few new titles on display soon, and we are also pulling in books from other libraries through interlibrary loan. If you know of a book on this theme that might appeal to the NUNM community, get in touch! 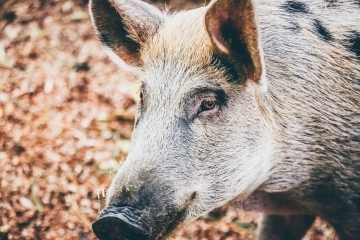 On Tuesday, February 5, the library will celebrate the Year of the Pig with festive decorations and treats in the Chinese Herb Library. 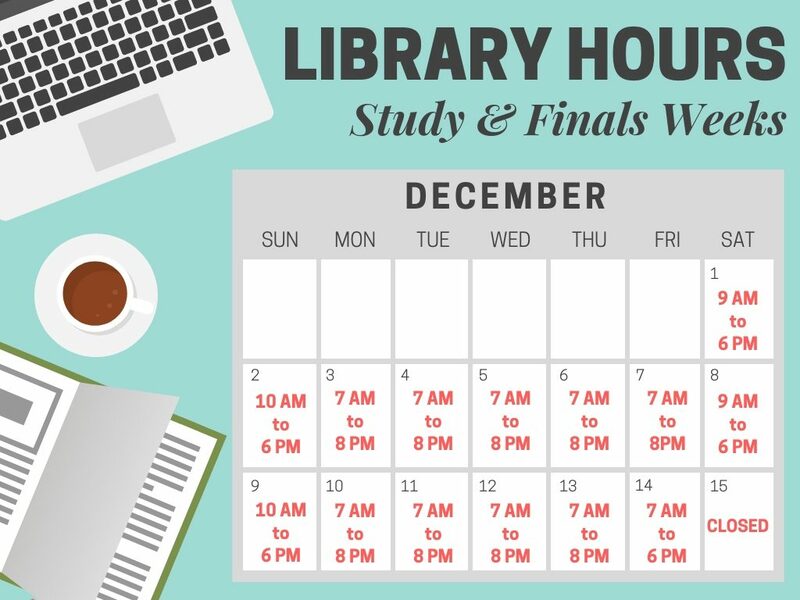 Stop by the library after 1 PM to sample oranges, candies, and other delicious snacks! This coming summer, we will be remodeling the back room of the library to create more and better study space. 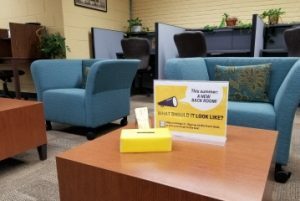 We want student input! In February, we will hold two Friday morning design workshops with BRIC Architecture with the goal of reimagining this space. Do you study in the back room? Want to get involved? 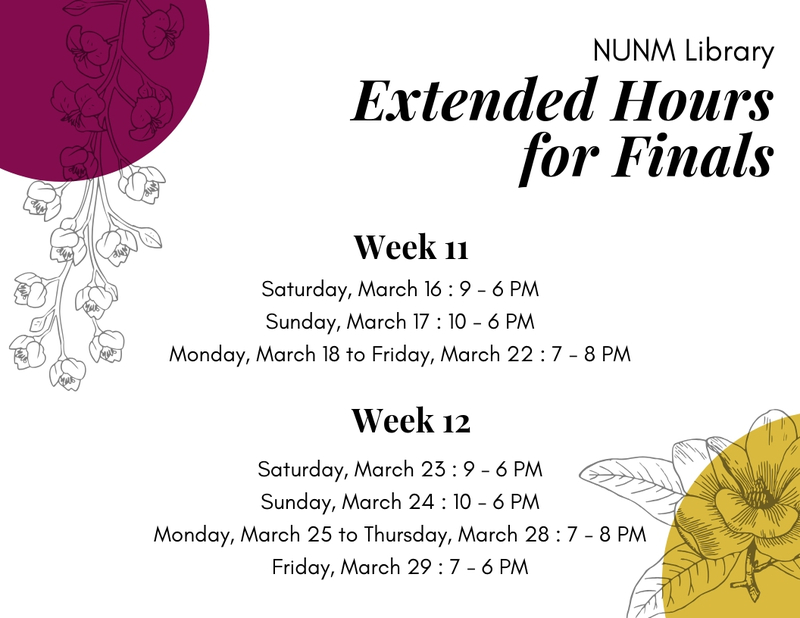 Sign up in the library (use the sign up form at the service desk or drop a slip in one of the yellow boxes) or email University Librarian Noelle Stello at nstello@nunm.edu. The library has worked with the Office of Equity and Inclusion to highlight books in our collection that address the history, health, and culture of African Americans. 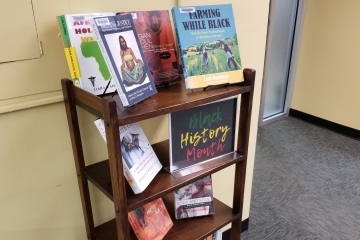 A couple of recent additions to the library that you’ll find in the display are Birthing Justice: Black Women, Pregnancy, and Childbirth and Farming While Black: Soul Fire Farm’s Practical Guide to Liberation on the Land. The 2018 CCM capstones are back from the bindery, along with a couple of additions from 2017. The following titles are now listed in the library catalog and will be available on the shelves shortly. 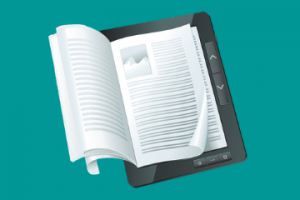 Come explore these new additions to the literature! 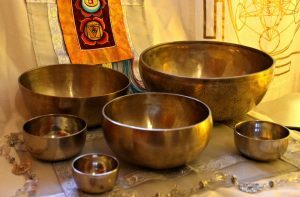 Midway between Autumn Equinox and Winter Solstice seems like an ideal time for a restorative session of Himalayan singing bowls led by CCM’s Ken Glowacki. Join us on Friday, November 9, at 7 PM for an evening sound bath in a dark and cozy library. You will experience a gentle release of tension and gain re-alignment as you let the soft sounds of singing bowls, gongs, and bells surround you. Come with a yoga mat and pillows or use our chairs. It will be a great way to wrap up the week. You can read these books online or download a chapter or two to go. Get in touch with a librarian if you want to know more.